Prima Tooling's PCD End Mills are most importantly one of the most productive tools on the market today. Outperforming Tungsten Carbide tools by up to 50 times, they hold their edge, and as a result lead for long tool life. Our End Mills are manufactured completely by us. With a solid Tungsten Carbide body to ensure strength and rigidity, and using only the highest quality tested PCD tips. Moreover, our End Mills can be re tipped ensuring a longer life for existing tooling and value for money in the Carbon Fibre Composite market. In addition to our own tools, we are excited to offer a full range of composite cutters from Sutton Tools therefore offering a complete package. They also provide solutions supa fast. 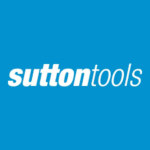 Sutton Tools have been closely involved in the development of tooling solutions for the Commercial & Defence sectors of this rapidly advancing industry. They have extensive experience in VHM Rotary Shank tooling to match the outcomes now expected from this Industry. In conjunction with ongoing R&D projects specifically a joint venture with the Australian Defence & Technology Organisation in the area of Aerospace Machining & Finishing they can manufacture made to order Tooling for most applications. As a result of the continuous push for strength increases and weight reductions being specified, more and more CF Composite & Kevlar materials has to be used in critical Motor vehicle manufacture. Driven by these industry advances, Sutton Tools continues to develop and manufacture VHM rotary shank Tooling to satisfy the needs being generated. This enables them to provide a fast solution for tools in automotive manufacturing, including the high-performance and motor sport sectors. Sutton Tools have the tools for high tech recreational vessels, ocean racing and defence, that use high end carbon fibre composites. They design solutions for these applications.